The government estimates that by 2020, workers age 55 and over will make up a quarter of the workforce. 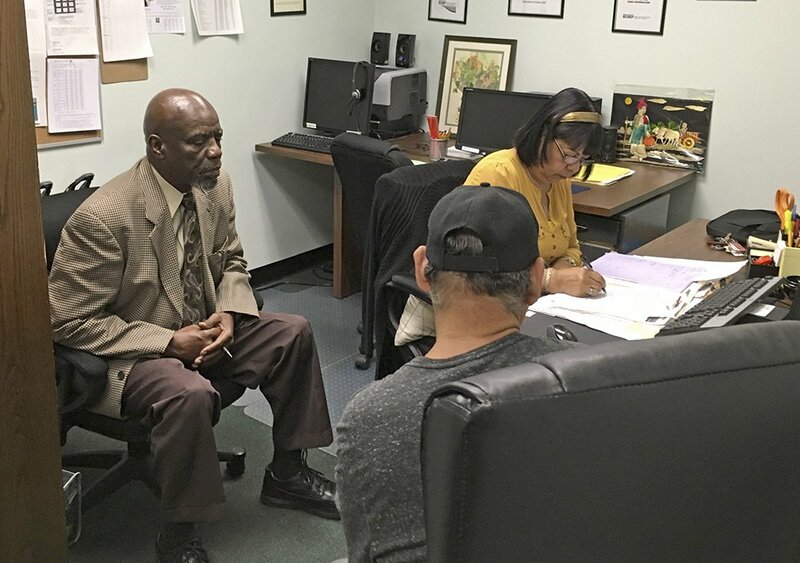 HARRISBURG, Pa. — Nathan Singletary is beyond the traditional retirement age, but he’s only just beginning a new career – helping other low-income, unemployed Americans over age 55 find jobs. Singletary got his job through the half-century-old Senior Community Service Employment Program, a training and placement program underwritten by taxpayers aimed at putting older Americans back into the workforce. President Trump says there are too few participants who find work that’s not paid for by the federal government. This week, he proposed deleting the $434 million program from the federal budget – a strike at a piece of President Lyndon Johnson’s War on Poverty. 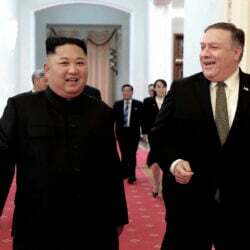 He says a friend told him about Trump’s plan around the time the president celebrated his 100th day in office three miles down the Susquehanna River at the Ames Companies’ thriving wheelbarrow factory. There, Trump signed executive orders to “defend American workers and companies.” It’s part of Trump’s agenda to boost American workers through apprenticeships, fairer trade deals and other incentives for employers to create jobs here in the U.S. The seniors’ employment program that Trump proposes to eliminate provides part-time work at minimum wage. Participants have to live locally, have income close to or below the poverty level and be over 55. In Harrisburg, participants accepted into the program are coached by Singletary at the AARP offices on how to explore online job listings. He, in turn, is being trained by another program participant, employment specialist Luz Rivera, to help participants find a job and get the required training. Singletary watches as Rivera, 68, asks a newer participant, Luis Quinones, if he has computer skills. “I’m computer illiterate,” Quinones, 66, says with a grin. Rivera signs him up for computer training and a second year in the program. About two-thirds of the participants in Harrisburg are able to find jobs not subsidized by the federal government, according to the program’s literature. The figure for the whole Senior Community Service Employment Program nationally is lower – at or slightly less than half, according to a 2015 government study Trump cites as evidence for nixing the program. Across town, Jimmie Cobb, a 63-year-old sous chef by trade, recently scored a full-time position – with benefits – as a custodian at the State Museum of Pennsylvania, where the program had placed him temporarily last fall. It may seem like a good time to be an older worker seeking a job in an economy recovering from recession. Unemployment among Americans over 55 is at 3.3 percent, lower than the nation’s already healthy 4.4 percent, according to the Bureau of Labor Statistics. But older Americans face unique challenges finding work, including health problems, living in rural areas and the plain fact that they have a limited working future, various studies have shown. A 2012 analysis by a private contractor for the Labor Department found that job placement among those participating in the seniors’ employment program declined with age. The government estimates that by 2020, workers age 55 and over will make up a quarter of the workforce. The Labor Department says the seniors’ employment program has helped more than 1 million workers in this age group enter the workforce. But Trump says that’s not enough. His budget plan says 68,000 people a year get some support from the program. But at a cost of nearly $6,500 per participant, the program “fails to meet its other major statutory goals of fostering economic self-sufficiency,” it says. The document says the seniors could get help instead under the 2014 Workforce Innovation and Opportunity Act programs, which apply to would-be workers of all ages. It’s not clear whether the Republican-controlled Congress will go along with Trump’s proposal to kill the program. Even some of his allies have declared the president’s budget dead on arrival, like most presidents’ budget proposals. Here in Dauphin County – a blotch of Democratic blue surrounded by red Trump Country – the unemployment rate is 4.5 percent, slightly higher than the national average. About 53 percent of program participants in Harrisburg are white and 42 percent are black, according to Elizabeth Stachiw, SCSEP’s project director for the AARP Foundation, a recipient of the federal grant money. About 16 percent consider themselves Hispanic, Latino and Spanish. The rest are Asian and American Indian, she said. Nationally, about half of the current participants are white.